It seemed it would never come but the long in development puppet film noir directed by Brian Henson 'The Happytime Murders' now has an (NSFW) trailer. the film stars Melissa McCarthy, Maya Rudolph, Joel McHale and Elizabeth Banks. 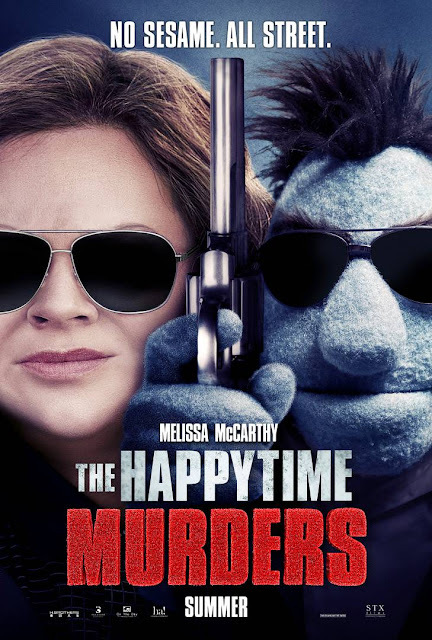 'The Happytime Murders' is set in the underbelly of Los Angeles where puppets and humans coexist. Two clashing detectives, one human, and one puppet are forced to work together to try and solve who is brutally murdering the former cast of 'The Happytime Gang', a beloved classic puppet show. As of this time, the film has no date for Ireland and the UK, 17 August 2018 for the US.